Virtually any native plant that captures your fancy can be grown in containers if you understand its natural environment. 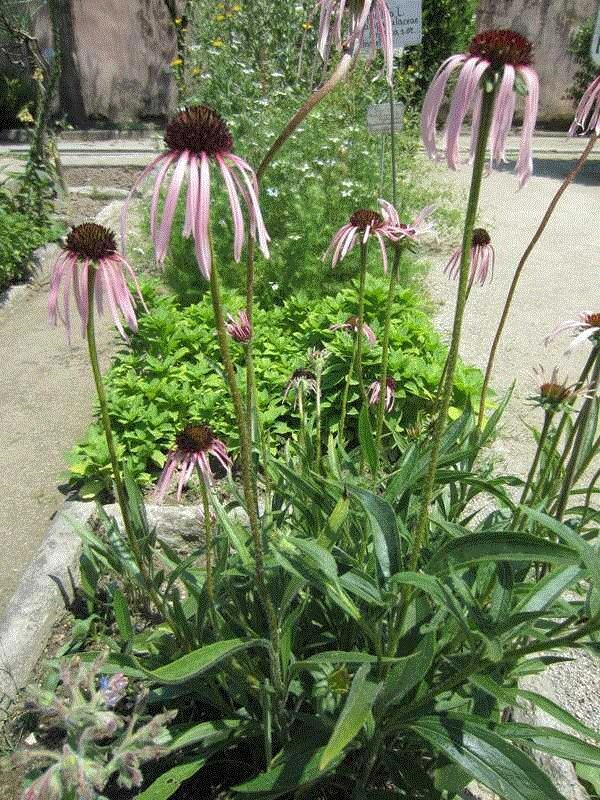 Following is a selection of native plants that make excellent plants to start with. They are divided into “Fillers” – good plants to add mass to your container, “Thrillers” – plants with some striking characteristics that will draw attention to your container, and “Spillers” – plants that will drape over the sides of your container. A few native plants suitable for a container water garden are also included. Use your imagination when thinking of containers filled with native plants but do follow this rule: never dig wild plants by thinking they will thrive in your location. Two negative outcomes usually result from such attempts – a dead plant in your landscape and another plant that has disappeared from the wild. Select plants that can be grown from seed or purchased from reputable nurseries. An excellent location to see native plants growing in containers is Shaw Nature Reserve’s Whitmire Wildflower Garden where one can find combinations of plants in colorful glazed pots or more formal cement urns. Arrangements in hollow stumps and sections of limbs create surprise accents. Native plants, other than water garden plants, require containers with drain holes. Size and depth of containers depend on plant requirements. In other words, do your homework and combine plants that appeal to you and will grow well together. For container designs we recommend this flyer by Grow Native: Missouri Native Plant - Container Designs. Easily grown in average, dry to medium soil in full sun to light shade. Plants typically grow 12-18” tall. Features clumps of flat, narrow, grass-like leaves (to 12” tall) and tiny bell-shaped, pink to lilac pink (occasionally white) flowers which appear in loose, nodding clusters atop erect leafless scapes. Blooms in summer. Grows in full sun to part shade. One of the few native Missouri plants which grows well in dry, shady locations. Non-showy, fuzzy, whitish flower heads bloom in early spring. Flowers are crowded into terminal clusters. Commonly called pussytoes because of the supposed resemblance of each tight flower cluster to the soft pads of a cat’s paw. Wide range of soil tolerance as long as drainage is good. Prefers light to moderate shade. Features drooping, bell-like, 1-2”, red and yellow flowers. Delicate foliage remains attractive throughout the summer as long as soils are kept moist. Flowers are quite attractive to hummingbirds. Grows in dry to medium soils in full sun. Bears cup-shaped, upward-facing, poppy-like flowers (to 2.5” wide) that bloom from May to August. Flowers are white, light pink or pale lilac. Part to full shade. Will grow in full sun. Sometimes called white tinged sedge. Grows in a clump to 15-20“ tall. Narrow, grass-like, upright-arching, bright green leaf blades 16” long and 1/10” wide. Flowers bloom in late spring on stems rising to as much as 20” tall. Likes moist to wet soils in part shade. This species of turtlehead is stiffly erect and typically grows 2-3' tall. Snapdragon-like white flowers tinged with pink bloom from late summer into autumn. Best grown in moist soils in full sun to part shade. Hooded, snapdragon-like, two-lipped, deep rose flowers appear in tight, spike-like terminal blooms from late summer into autumn reaching 2-3' tall. Grows in full sun. Prompt deadheading of spent flower stalks encourages additional bloom. Typically grows to 2' tall. Features solitary, yellow, daisy-like flowers 1-2” diameter with flat yellow center disks. Blooms in summer. Grows in full sun to part shade. 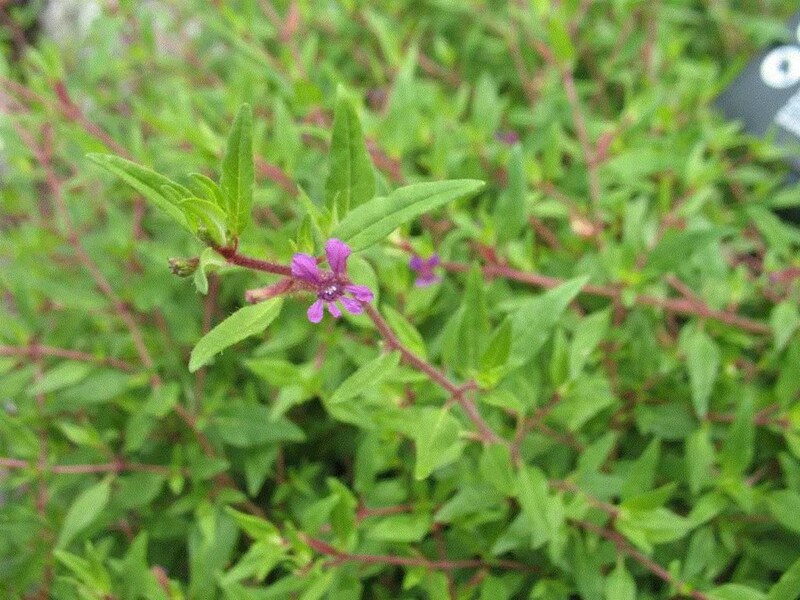 A mint family member with wiry stems (8-16” tall) and clusters of small, purplish flowers in mid-summer to fall. At first frost, “frost flowers” may occur as watery sap freezes in ribbon-like, 2” projections. An annual best grown in full sun. Plant new seeds in containers each year around the time of the last spring frost date. Produces purplish-red flowers from July to October 10-20” tall that are attractive to butterflies and hummingbirds. An adaptable plant that is tolerant of heat and humidity. Removal of spent flowers promotes reblooming. Grows 1-2’ tall on rigid, upright, hairy stems. Flowers (to 3” diameter) feature light pink to pale purple petals with orange-brown center cones. Blooms in June and July. Goldfinches are attracted to the seeds. Easily grown in full sun to part shade. Valued for its late summer to fall bloom and large, attractive lower leaves. Produces many clusters of small flower heads with pale lavender florets. Large lower leaves provide the inspiration for the common name of elephant’s foot. Grows in full sun to part shade. Prefers moist, humusy soils. Forms a mound of foliage that grows to 24” tall and 18” wide. Features pink to lilac flowers in spring. Deeply cut, dark green leaves (to 6” across). Easily grown in full sun. Avoid over fertilization which may cause plants to grow too tall. Cut back in May-early June to reduce plant height and to encourage branching and more flowers. An erect, clump-forming plant that branches near the top. Typically grows 1-3’ tall. Daisy-like flowers (to 1.5” across) with drooping, bright yellow rays and brownish-purple center disks. Blooms from summer to fall. Grows in full sun. One of the shortest of the many native sunflowers. Basal leaves (to 8” long) form a 4-8” foliage clump. Sunflowers (to 2” diameter) with orange-yellow rays and yellow disks appear on stiff flower stems 2-3’ tall. Blooms from mid-summer to fall. Best grown in organically rich soils in full sun to part shade. Best foliage color may occur in sunny spots with some afternoon shade. Foliage grows in a basal mound to 12” tall with slender flowering stems that rise to 18”. White to pink flowers appear from late July to September. Best grown in full sun to part shade. Features a 12-18" tall basal clump of heart-shaped green leaves. Tiny, greenish, bell-shaped flowers develop in open, airy panicles on slender, wiry stems to a height of 18-24" in spring to early summer. Best grown in moist, well-drained soils in part shade. Will tolerate close to full shade. Pale blue, lilac or lavender iris flowers with gold crests on the falls are borne on very short stems. Narrow, sword-shaped, medium green leaves (to 6” long) arise from a network of branching rhizomes. Best grown in part shade. Plants grow to 10-20” tall on an arching single stem. Each is topped in May-June by a 2-3” long terminal raceme of 6-15 white to greenish-white star-shaped flowers. Fruits (to ¼” diameter) mature from green with blue-black stripes to blackish-red to black. Likes moist, well-drained soil in part shade. Typically grows to 12” (less frequently to 18”) tall. Features light blue, bell-shaped flowers (to ¾” long) in loose, terminal clusters on weak stems in mid to late spring. Oval leaflets are arranged like the rungs of a ladder. Easily grown in average well-drained soil in full sun to part shade. This erect, many-branched perennial grows 2-3’ tall with needle-like leaves and profuse clusters of small, white flowers. Blooms in late summer. Easily grown in dry to medium, well-drained soil in full sun. Typically grows 2-3’ tall and features daisy-like flowers with yellow rays and black center disks on branched stems. Blooms from summer to early fall. Best grown in part shade to full shade. Features 4-petaled, yellow clusters of flowers in spring atop stems growing 12-18” tall. Blue-green, pinnately lobed foliage is silvery below. If soil is kept moist, the foliage will remain attractive through summer. Grows best in full sun. A bushy, stiff, compact, low-growing plant with hairy stems. Forms mound 1-2’ (infrequently to 3’) tall with small daisy-like flowers (1” across) having violet blue rays and yellow center disks. Blue-green leaves are fragrant when crushed. Commonly called Ozark bluestar or shining blue star. A clump-forming plant that features terminal, pyramidal clusters of 1/2", star-like, soft light blue flowers. Grows 2-3’ tall. Grows in part to full shade. Prefers constantly moist, acidic soils in heavy shade. Grows 3-5’ tall making it an eye-catching stand alone display. Flowers are followed by dense clusters of berries that are attractive to birds. Grows best in moist soil in full sun or light shade. Greenish yellow to brown seed heads look like spiked clubs. Grows to 2-3’ tall. Fruits remain on plant in winter. Grass-like leaves are up to ½” wide and semi-evergreen. Grows in full sun to part shade. A compact, dense, rounded shrub which typically grows 2-3’ tall. Cylindrical clusters (1-2” long) of tiny, fragrant, white flowers (1/8”) appear on long stalk in late spring. Dried leaves were used as a tea substitute in American Revolutionary War times. Grows in full sun to part shade. Typically grows 2-5’. Most distinguished by the flat, drooping seed heads which hang in terminal clusters from slightly arching stems. Seed heads emerge green but turn purplish bronze by late summer. Bright green leaves (5-9” long) turn a coppery color after frost. Easily grown in full sun to part shade. Typically grows to 2-4’ tall. Showy, daisy-like, purple flowers (to 5” diameter) bloom throughout the summer atop stiff stems clad with coarse dark green leaves. Full sun to part shade. Evergreen perennial which typically grows 3-5’ tall. Stems are very noticeable in winter and can provide visual interest. It is very aggressive when not carefully contained. Effective grown in a pot by itself. Likes full sun and dryish, sandy soils. Features bristly-edged, sword-shaped, leaves (to 3’ long) that resemble yucca plants. Whitish flower heads appear in tight clusters atop stiff stems typically rising to 3-4’. Likes fertile, slightly acidic, consistently moist in full sun. Tolerates part shade. Commonly called copper iris because of the unusual copper color of its flowers. Terracotta or copper colored irises appear in late spring atop flower scapes typically growing 2-3’ tall. Typically growing 2-4’ tall, this liatris species is the tallest in cultivation. It features rounded, fluffy, deep rose-purple flower heads crowded into terminal spikes (to 20” long) atop thickly-leafed, rigid flower stalks. Blooms in summer. Grows in humusy, medium to wet soils in full sun to part shade. Needs constant moisture. Features erect, terminal spikes (racemes) of large, cardinal red flowers on stalks rising typically to a height of 2-3’. White and rose colored forms are also known. Grows in well-drained soils in full sun to part shade. Grows to 2-3’ tall. Tiny white flowers form dense, flat-topped blooms from late spring to early autumn atop upright stems. Basal leaves are much larger than stem leaves. Grown in full sun to part shade. Typically grows 3-5’ tall and features daisy-like flowers (to 3” across) with yellow rays and dark brownish-purple center disks on branched stems. Long summer-to-early-fall bloom period. Grown in full sun. Tolerates heat and humidity. This ornamental grass grows 2-4’ tall with slender green leaves ¼” wide with a tinge of blue at the base. Purplish-bronze flowers 3” long appear on stems rising above the foliage in August. Attractive seed heads and bronze foliage color lasts into late fall. Easily grown in full sun. A vigorous, clump-forming perennial with gray-green leaves and stems. Grows to 2-4’ tall and features blue-purple flowers in narrow, upright, panicles. Flowers are densely packed and bloom a few at a time from bottom to top, May to September. Grows in full sun to part shade. Features flat-topped clusters of tiny yellow flowers in late spring atop stems growing to 3’ tall. Has simple, heart-shaped basal leaves. It is a food plant for the larvae of the Missouri woodland swallowtail butterfly (Papilio joanae). Features two downy, heart-shaped to kidney-shaped, dark green leaves (to 6” wide). Cup-shaped, purplish brown flowers (1” wide) appear in spring on short, ground-level stems. Flowers are attractive but bloom singly on or near the ground, usually hidden by the foliage. Grows in well-drained soils in full sun. Typically forms a low foliage mound from 6-9” tall. Solitary, upward facing, cup-shaped, five petaled, poppy-like, magenta flowers (to 2.5” wide) continuously appearing from mid-spring to fall. Grows in medium moisture, well-drained soil in full sun to part shade. 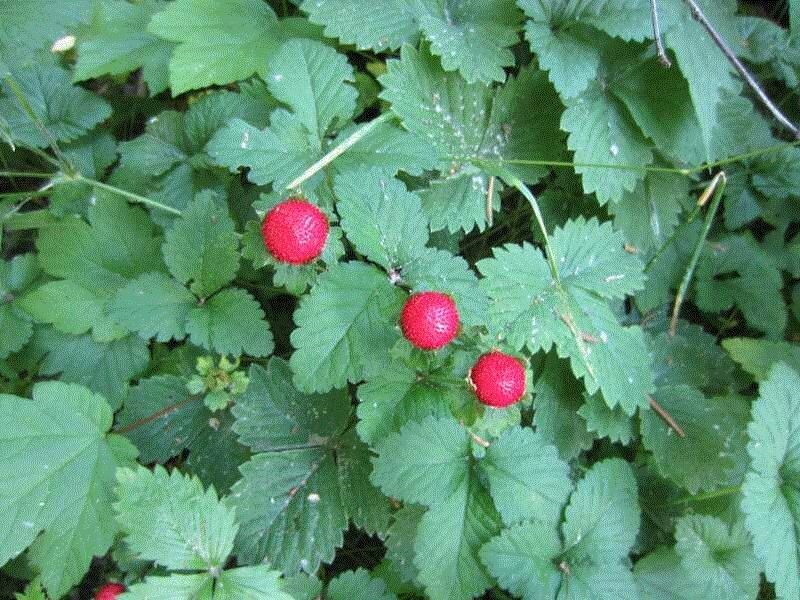 A small-fruited, wild strawberry. It forms a compact, stemless, 4-8” tall plant that spreads by runners. Small, 5-petaled white flowers with yellow centers appear throughout summer. Grows in well-drained soils in full sun. It is a clumping, sprawling plant that grows to 6-18” tall. Flat-topped clusters of 5-petaled, rose-pink to rose-purple flowers appear atop stems in late spring to late summer. Grown in well-drained soil in light shade, but performs best in full sun. A mat-forming phlox that grows to only 6” tall and spreads by trailing. Produces pale blue to almost white flowers. Blooms in spring. Lance-shaped leaves are bright green. Grows in full sun to part shade. Prefers humusy, slightly acidic soil. An ornamental, strawberry-like plant. Mat-forming growth habit (to 6” tall) which spreads by runners and will spill over the rim of the container. Features 5-petaled yellow flowers (3/4” diameter) which bloom singly or in clusters in spring. Foliage is evergreen. Fruits are inedible. Full sun to part shade in shallow water. Best flowering usually occurs in full sun. Shiny yellow flowers look very much like buttercups. It typically grows 12-18” tall. Blooms in spring (April to June). Grows in full sun to part shade. Must never be allowed to dry out. Looks like a spidery daffodil with extremely narrow petal-like segments. Features a basal clump of amaryllis-like leaves (each to 17” long). In summer a solid stem rises to 22” with 5-10 fragrant, white, spidery flowers (up to 6” across). Needs full sun for best flowering. Use in water garden containers. A vigorous, deciduous, marginal aquatic perennial that typically grows 2-4’ tall. Tiny, tubular soft blue flowers are densely packed into erect, 3-6” long spikes atop flower stalks. Plants flower freely from June to October. Needs full sun. Set out plants, or tubers in containers without drain holes in up to 6” of water. Plant typically grows 1-4’ tall. Noted for its arrowhead-shaped leaves (to 12" long) and three-petaled white flowers in whorls of three atop stalks rising to 4’ tall. Plants bloom freely from July to September. Grow in shallow water in container (sun to part shade). It belongs to the sedge family, has arching basal green leaves with upright flowering stems 3-5’ tall. Flowering stem is topped with green spikelets which mature to reddish brown with a soft woolly appearance.